Does LG want to ditch its G series? A media report from Korea came close to saying so, but how sensible would that be? Are there any good alternatives? Is the G series washed up? We dive in and offer a few answers to these questions. A report from The Investor magazine stated that LG plans to rebrand its G series. The magazine makes reference to a Korean tech paper, which designates an unnamed LG spokesman as a source. 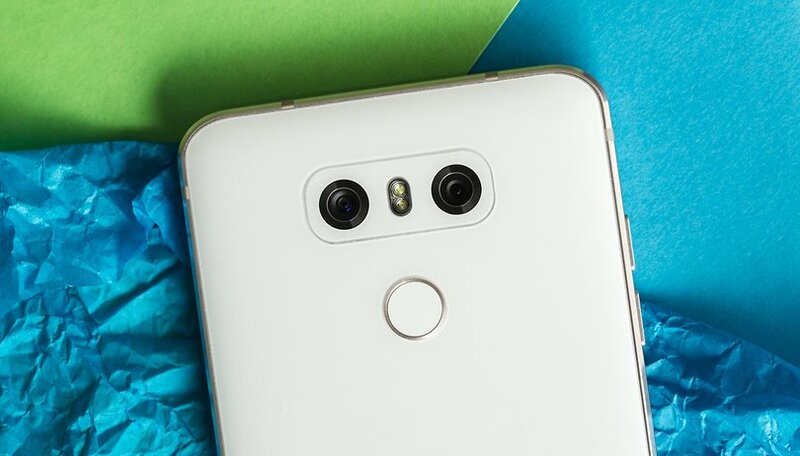 According to the article, LG plans to rename its G series, which means there wouldn't be an LG G7. The report doesn't name a concrete alternative and is written very vaguely. What’s going on? An inquiry to LG wasn't fruitful and LG is yet to make an official announcement of a new brand like the one that has been rumored. This is particularly odd because LG likes to officially announce this kind of news. Is the G series washed up? It all started in 2012 with the presentation of the LG Optimus G. LG removed the Optimus logo in the Optimus G’s successor and kept it this way with the simple LG G2 (maybe the double G makes the pronunciation somewhat bothersome). But the G2 did receive a lot of positive reviews and the rear key produced one of the LG's most underrated innovations: on/off and volume buttons on the back instead of on the edges to reduce unintended operation in your pockets as well as a built-in fingerprint sensor starting with the LG G5. In the end, I did spend a year and a half with the LG G3. The dark and re-sharpened display was particularly annoying, but I was able to deactivate it with the help of rooting and a Custom Rom. Besides that issue, the phone was a success. With the arrival of the V series, a sense of crisis grew for the G series: if the V was the real flagship, then what was the G? Most recently it was a place for experiments (G5) or just a technically restricting smartphone (G4 and G6). The G6 was dubbed a mainstream flagship, but of course it didn’t have the charm of a premium phone and wasn't of the same caliber as the Galaxy S8. But otherwise, the G6 was quite amicable: pretty design, functionally convincing and at the same time affordably priced. If you look at the different smartphones from the G series, you’ll find a certain degree of aimlessness. But that’s not something that can be remedied with a new brand. Was the G6 the last of its kind? What’s going on with the story now? The V30 followed the G6 and demonstrated many good characteristics. The design is finally at the level of the competition’s, but it could not live up to the buzz about the phone’s camera and video capabilities — its most important selling points. This can, however, be fixed with potential further developments, for example with the LG G7. But should the G7 really be released as the ‘LG 10’ (to arbitrarily take a two-digit number)? Is that consistent with a product name like LG ThingQ? And would a new brand really have the necessary added value to replace an established one? Nokia can be thought of as a precursor: Nokia 8’s plain name is sensible and the name ‘Nokia’ is of course full of sentimental value. This is hard to imagine with LG. Since The Investor reported that no decision on the branding has been made yet, it’s likely true: who needs a new brand that doesn’t add any value? It would be downright crazy for an LG smartphone to start with a plain two-digit number. In my view, massive improvements to the camera would be more important for future LG smartphones. And LG’s smartphones couldn’t do without a new UI design anyway. The V30 UI still somehow looks so much like the G3’s — and that’s almost four years old now. It does, however, have a reasonable price. So it doesn’t really matter if the smartphone is called the G7, 23, or the TouchY. The G brand is LG's smallest problem. What do you think of the rumors? Should LG leave its G series and dare to do something new? Let us know in the comments! It also depends on the market. In Denmark, LG is more or less non-existent. Phones are almost always sold through a carrier and none of the carriers in Denmark has LG in their assortment. They used to, but there were too many issues with LG phones and when carriers began to lose money on LG it was over. If you Google LG+Phone+Problem, the bootleg issues comes first and it was a problem that existed on most of the G-versions and even the V10 and the Nexus. LG needs to repair their reputation. I think LG had two major problems 1.) They do the worst launching job in the industry in my opinion. Launching a phone and not putting out for months, LG has stopped selling the V20 in the Philippines and the V30 as of Jan 1 was still not available here. The LG store could not tell me when they would get the V30 I only asked because they had stopped selling the V20. 2.) They should have never taken the removable out of the V series That phone was meant for the power user and they killed it.